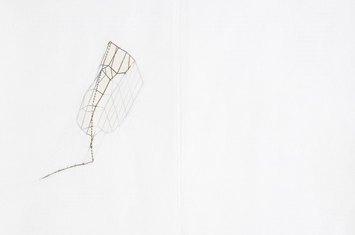 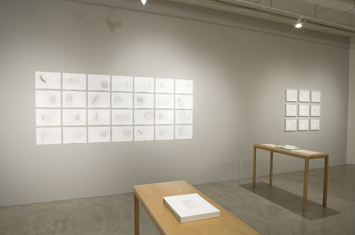 Intended to be shown as drawing portfolios, these unique works are comprised of altered book pages from old textbooks on meteorology, geology, life science and engineering. 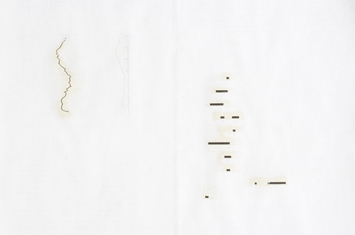 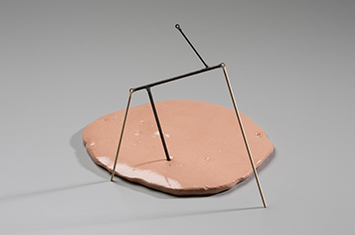 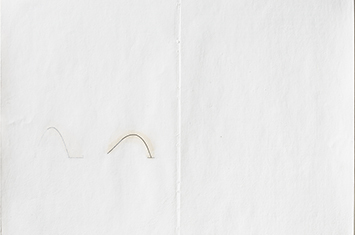 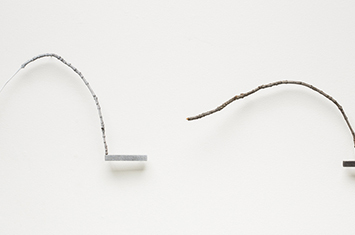 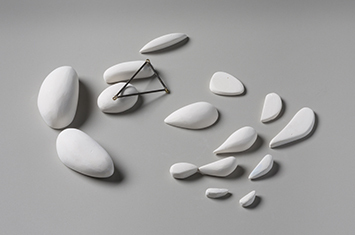 The text has been obscured with gesso, leaving marks that are suggestive of technical illustrations, but the subject matter is unclear. 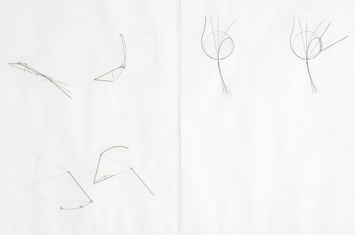 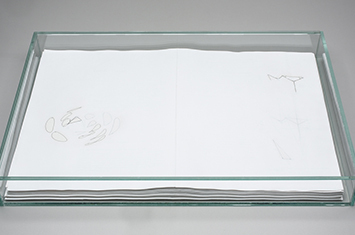 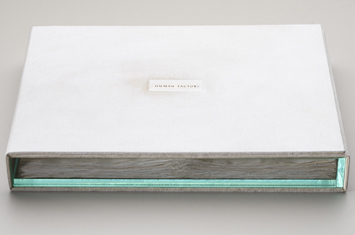 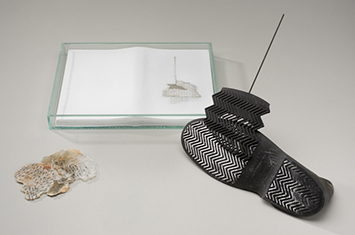 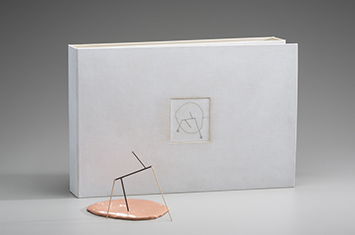 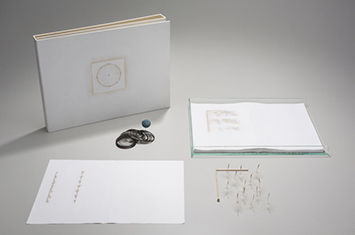 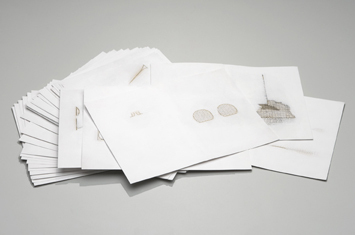 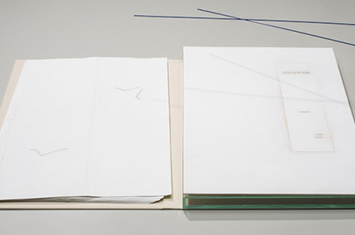 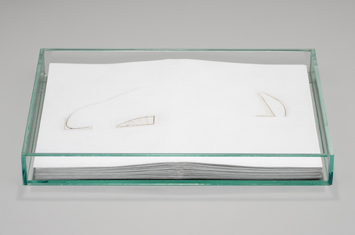 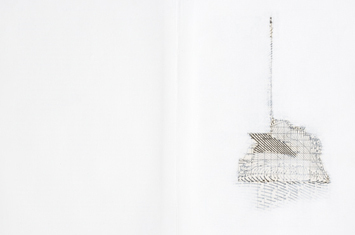 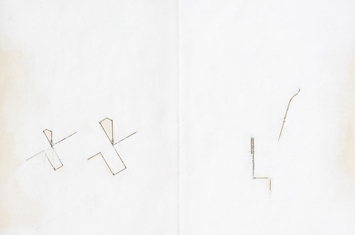 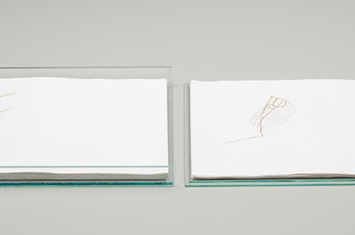 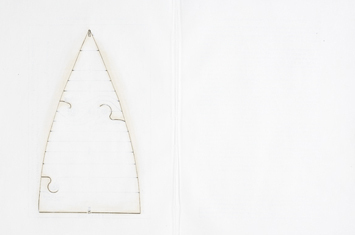 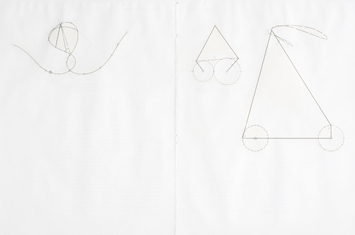 The drawings are housed in a clear acrylic box, which allows the viewer to see the stack of pages. 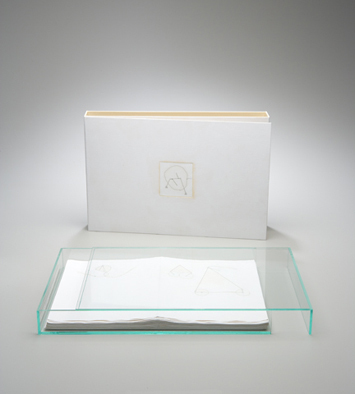 Each box is protected with a wrap around folder and contains a title strip on the inside flap.